This shore mark is one of the most popular fishing spots in the Republic of Ireland. Situated near the railway station at the western end of Cobh, it offers excellent access and parking. In recent years, the quays have been developed into a scenic walk stretching for 500 yards or more as far as Whitepoint. Ample parking means you are fishing out of the boot of the car. Fishing is into depths of 30-40 feet of water and this venue provides comfortable angling at all stages of the tide. There is good lighting during darkness. Main species are codling, whiting, coalfish, dogfish, conger eels, dabs, mackerel (July to October) and occasional thornback rays. Specimen dabs are recorded here. 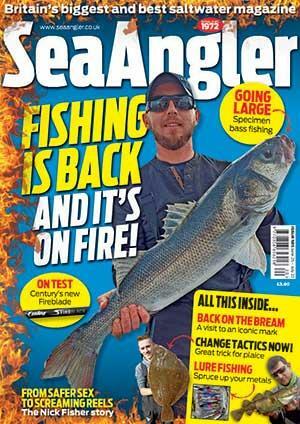 The most productive baits are mackerel, herring, sandeels, crabs and ragworms. Spinners and feathers take mackerel. Use a standard beachcaster rod with fixed-spool or multiplier reel filled with 15lb line. Fish with a three-hook paternoster rig or a combination of two-up and one-down; hook sizes range from 2 to 2/0. A grip lead will be required when tides are strong. Travel on main Cork/Cobh road. Turn right one mile from Cobh at the signpost for Whitepoint and car park. At the water’s edge turn left and stop in large parking area. The venue can be approached from the Heritage Centre in Cobh.